What on earth is available right now?! And more importantly . . . where? For all of you who where wondering what ponies are available to you right now and most importantly, where they have been sighted . . . well, this is the thread for you! 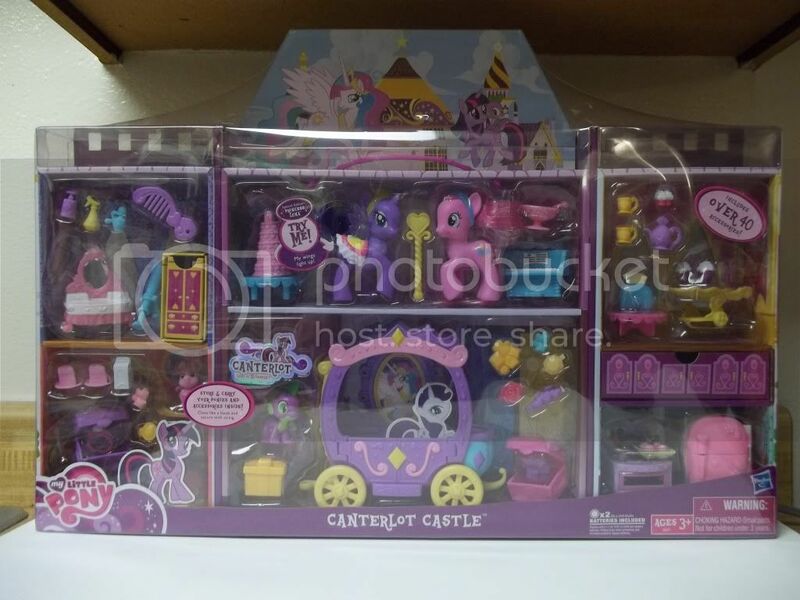 Here is a list of all of the ponies that have been found within the past few weeks and what stores they have been spotted in. 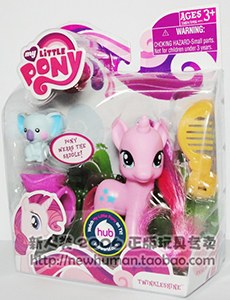 We hope this thread will be able to help you out in locating all of those exciting new ponies that are coming out! 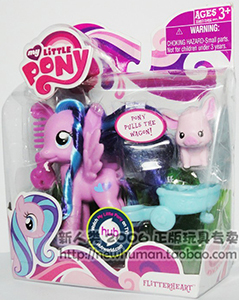 Gives you 10% off MLP products. 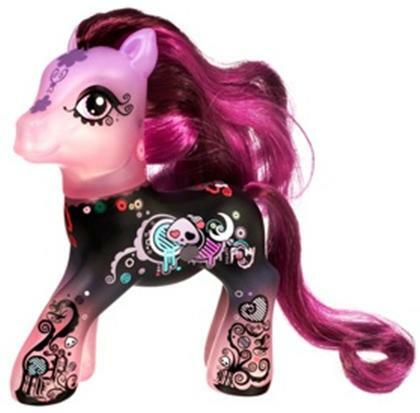 What is new and exciting in the pony world? Look at these new releases coming soon! 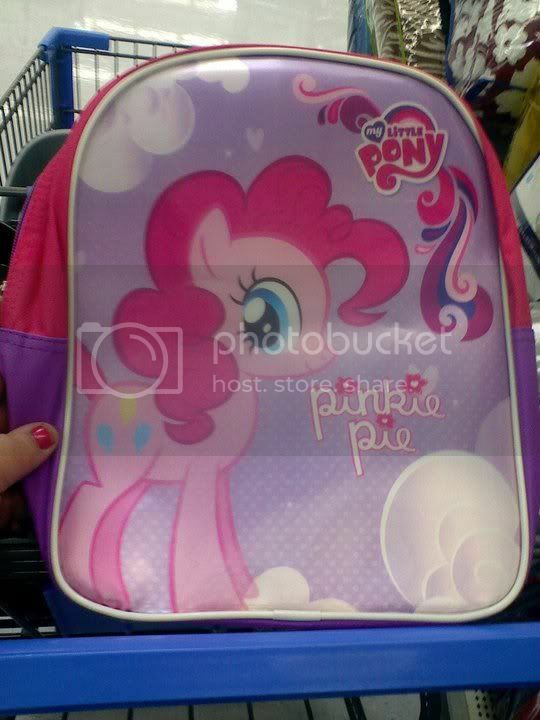 Thank%20you%20hathorcat%20for%20the%20pic!%20 Boy%20Blind%20Bag%20Ponies Thanks%20Honeycomb%20for%20the%20pics! 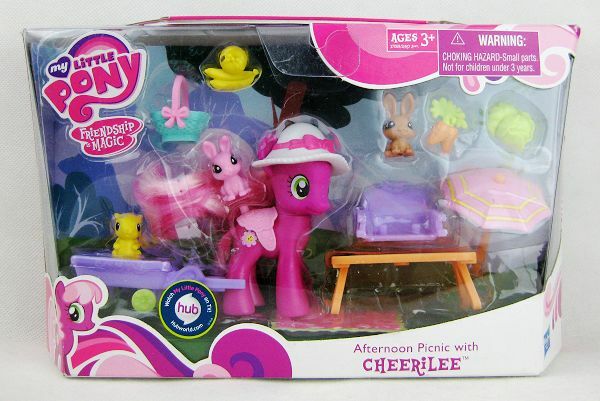 !%20 New%20Pony%20School%20Pal%20Pack Cheerilee%20Picnic%20Set Thanks%20for%20the%20pics!%20:) McDonald%20ponies%20in%20Brazil Two%20new%20ponies%20spotted,%20names%20still%20unknown Thanks%20to%20MisfitPony%20and%20sweetmouse%20for%20the%20pics.%20 Second%20wave%20of%20FiM%20Blind%20Bag%20ponies! Thank%20you%20Charmypony! 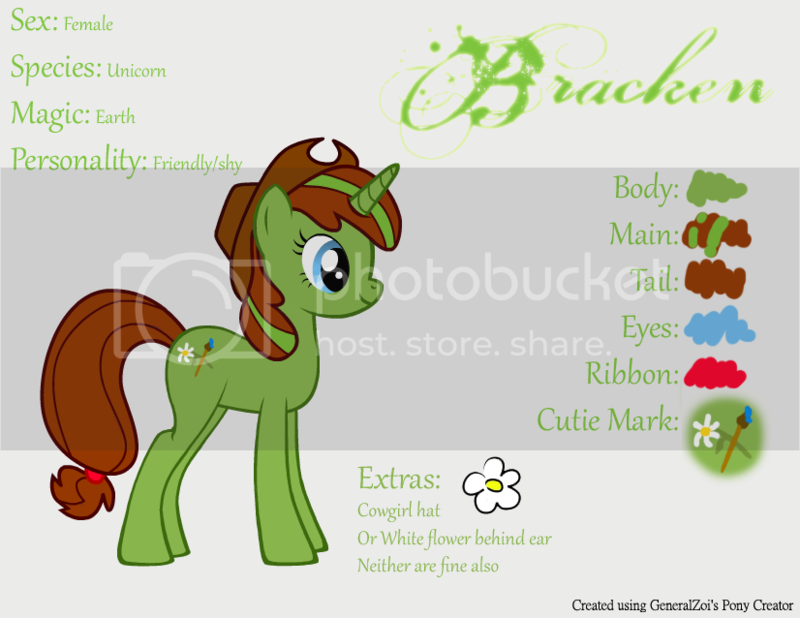 !%20 Glimmer%20Wing%20RD Thanks%20Blackrabbit%20for%20the%20pic! Minty! Thanks%20Shelltoon!%20 More%20new%20school%20supplies Thanks%20yum-yum%20for%20the%20pics!! 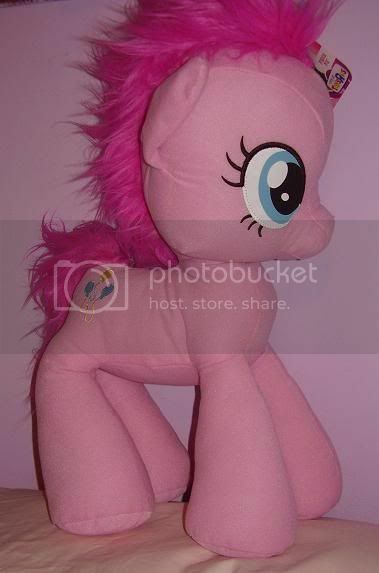 Pencil%20Case Pinkie%20Pie%20and%20Sweetie%20Belle%20So%20Soft%20Ragdolls [img]http://ecx.images-amazon.com/images/I/41Ejfc7b%2BdL._SL500_AA300_.jpg[/img] TRU%20Exclusive%20mini%20Pony%20Set! Thanks%20for%20the%20pics%20ShortyBoo! Puzzle%20sets%20with%20figurine Thanks%20loverofbalto%20for%20the%20pics!! 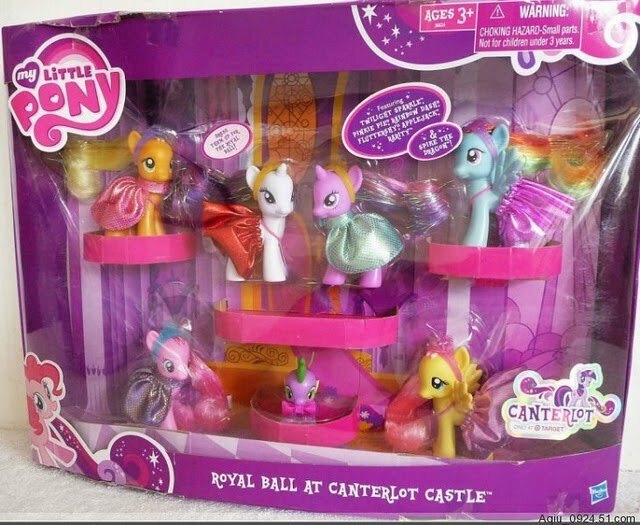 SDCC%20Pony Royal%20Gala%20Ball Styling%20Twilight%20Sparkle,%20Luna%20and%20Celestia Thank%20you%20to%20Scraleos%20for%20the%20pictures!! 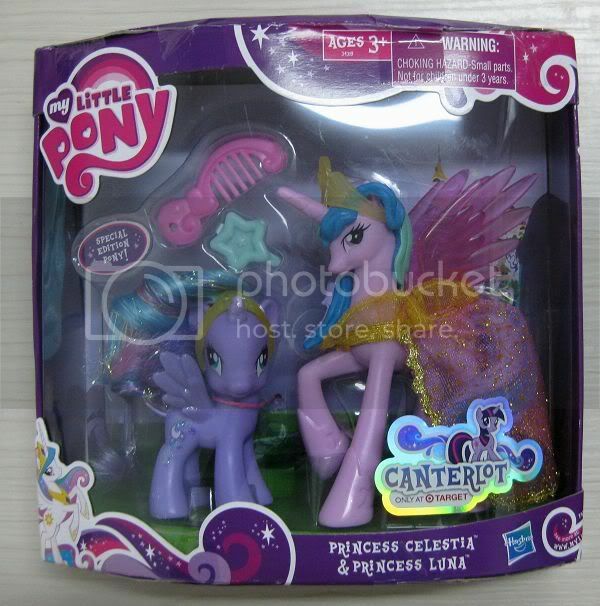 Luna%20and%20Celestia Thanks%20for%20the%20pics%20MoonShadow! 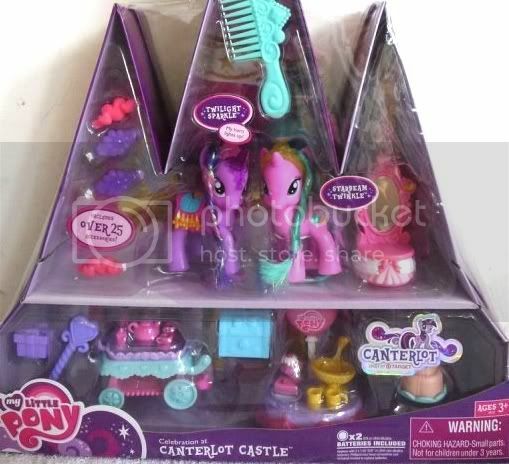 Canterlot%20Castle Thanks%20picklepud%20for%20the%20pic! New%20Pony%20Tent Thanks%20Shelltoon! 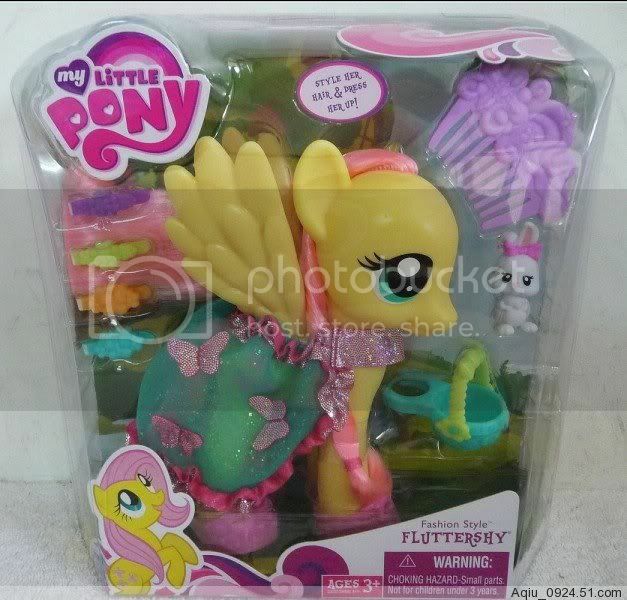 Possible%20new%20Comic%20Con%20Pony%20found%20in%20Singapore New%20pony%20sets%20spotted%20online! 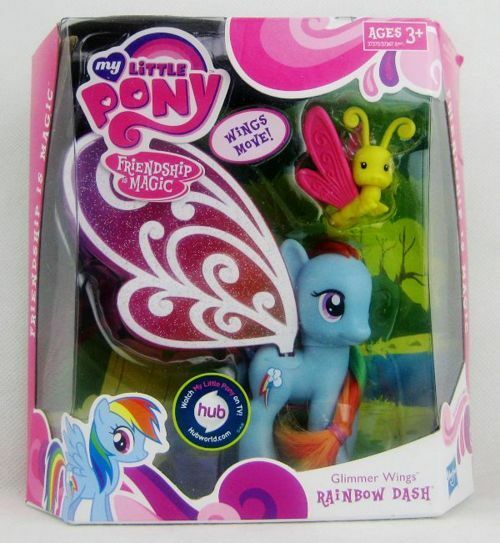 Lulu%20Luck%20Pony FeatherMay Flitterheart Snowcatcher Twinkleshin Honeybuzz Big%20thanks%20to%20StrawberryReef%20for%20the%20pictures! !%20 Don't%20want%20to%20wait%20for%20what%20will%20be%20out%20soon?%20Need%20a%20pony%20fix%20now?%20Well%20look%20and%20see%20what%20is%20currently%20out%20now%20and%20where%20it%20is%20being%20found! Posted: 0 Post subject: Re: What's New and What is Coming Soon Thread!! 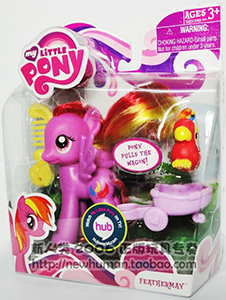 How come the package with Sweetie Belle says Apple Bloom, but looks like a peg. 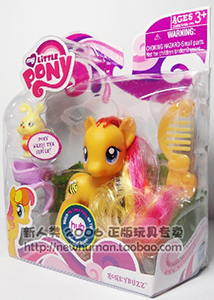 pony? 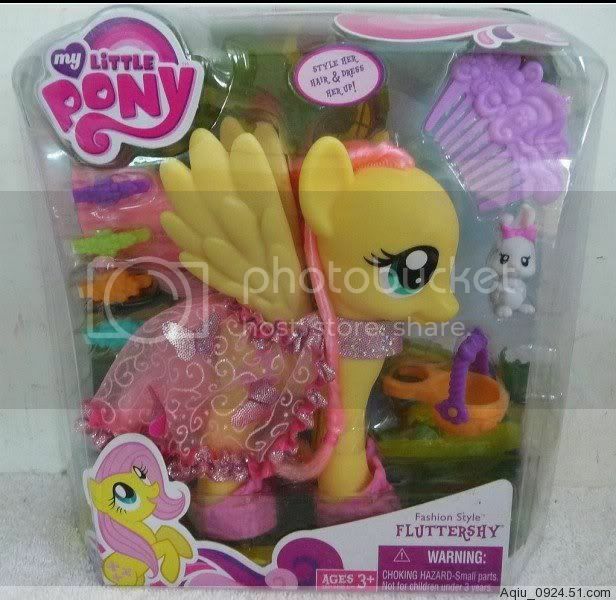 (Was that the one everyone says is Scootaloo? |D). Or maybe I'm seeing things. OMG!!! Dewdrop Dazzle is awesome! A turquoise pony with yellow eyeshadow??? Yes PLEASE! 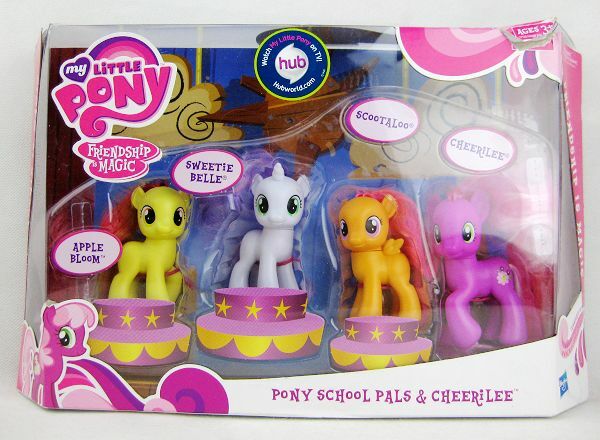 Hopefully that set gets changed to Apple Bloom and Scootaloo. Sweetiebelle is adorable, but I don't need to buy her twice. 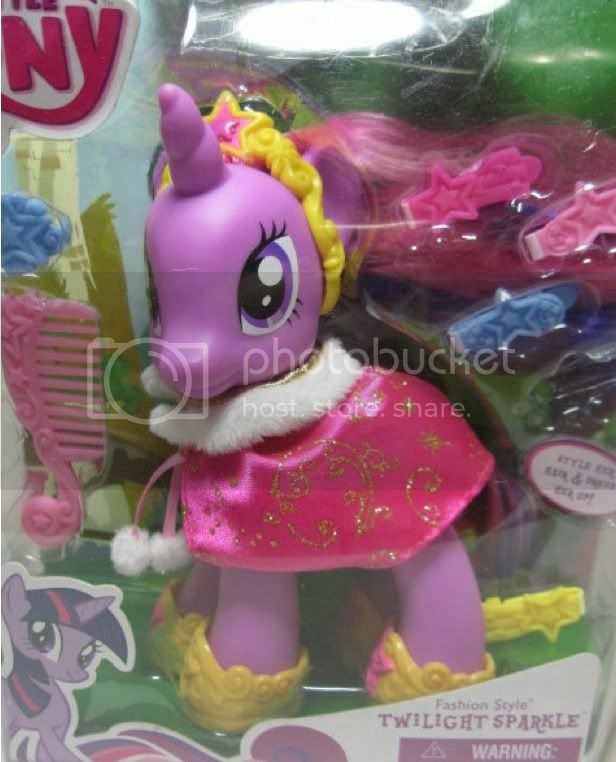 Are the dress-up ponies posted above the same size / line as the Fashion Ponies? 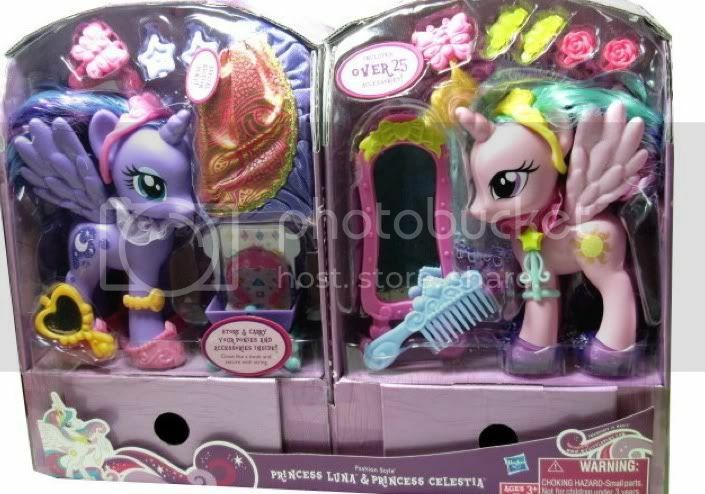 I really love the Pinkie Pie / Rarity / Applejack versions that are out so far... I'm not wild about the new poses, though. Still: Rainbow Dash!! Check out photos of my herd! 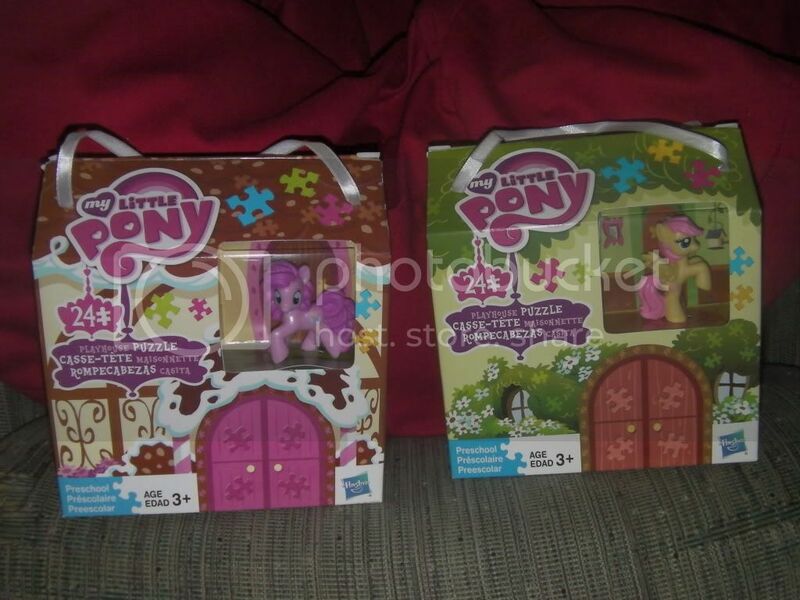 I'm not sure how new these are but I saw 2 mid-sized plush ponies the other day...? Their tags said they were only available at Toys R Us. I have pics but don't know if this is news or not... Anyone know? I can post pics if these haven't been shared yet. 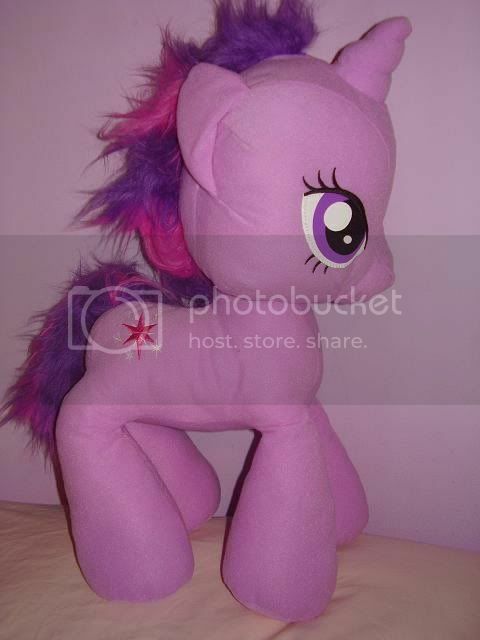 Is the RainbowDash plush wingless? 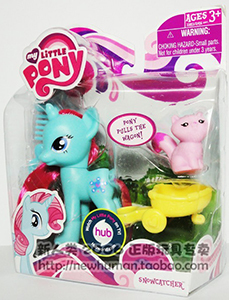 The wingless version and its Pinkie Pie companion have been around a while, I think. How do you like them? Are they soft? Good quality? I think they're the ones you're describing, haha. 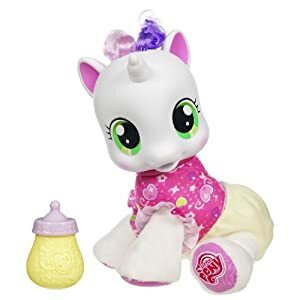 I didn't actually find them to be as super soft like the 25th Anniversary Pinkie Pie Jumbo Plush, however, they are still soft in their own way. Their pose is horrible though, their legs hang down like they're trying to stand up but when you actually -do- try to stand them up, they only fall over because of their unusually large heads. And when you try to lie them down instead, their heads still fall to the side. It made almost impossible for a decent picture... and to be brutally honest, I really don't think that they're all that cute, either. Weird faces! My boyfriend was with me when I found them and I literally exclaimed to him when I saw them "what the...? what are these ugly things?" I think this following statement can speak a lot for itself too; Toys R Us exclusives or not, I didn't buy them. Hahaha I think those are definitely what I was thinking of! I feel the same way that you do about them - totally not something I want to buy.